PASADENA >> A man arrived at a hospital with a stab wound early Saturday, claiming he was stabbed by a relative at a local park but refusing to cooperate further with investigators, police said. Staff at Huntington Hospital notified police about 2 a.m. that a 54-year-old Pasadena man had just driven himself to the emergency room with a stab wound to his thigh, Pasadena police Lt. John Mercado said. The man told police the stabbing took place at Brookside Park, near the Rose Bowl, and that a cousin of his had stabbed him after accusing him of having an affair with the cousin’s wife, the lieutenant said. “He would not give us a name or description of the suspect,” Mercado said. The injury was no considered life-threatening. COVINA >> Police are seeking three men who robbed a teenage high school student at gunpoint as he was on his way to school earlier this week. The robbery took place about 7 a.m. Tuesday in the 800 block of West Griswold Road, Covina police Lt. Rick Walczak said. Three robbers took part in the crime, and at least one of them was armed with a handgun, the lieutenant said. Frasquillo said her son was walking to Northview High School when a car pulled in front of him, blocking his path. Two men with handguns and bandanas covering their faces jumped out of the car and demanded the teen turn over his property, she said. A driver remained in the car. When her son replied that he had nothing, the men took off his watch and forcefully rifled through his pockets, backpack and sports bag, Frasquillo said, taking nearly everything. The teen ran home and told his mother about the robbery, and she, in turn, said she notified police and the school district. Northview parents received an automated phone call notifying of the robbery, though Frasquillo said the recorded message provided an incorrect location of occurrence. District-wide, parents received automated calls advising them to encourage their children to walk in pairs due to the Halloween holiday and earlier sunsets after daylight savings time ends Sunday morning, she said. Frasquillo said she wanted to make sure parents were aware of the situation so they can better protect their children. It was unclear if Tuesday’s robbery was related to a spate of four similar robberies and attempted robberies in West Covina on Wednesday and Thursday. 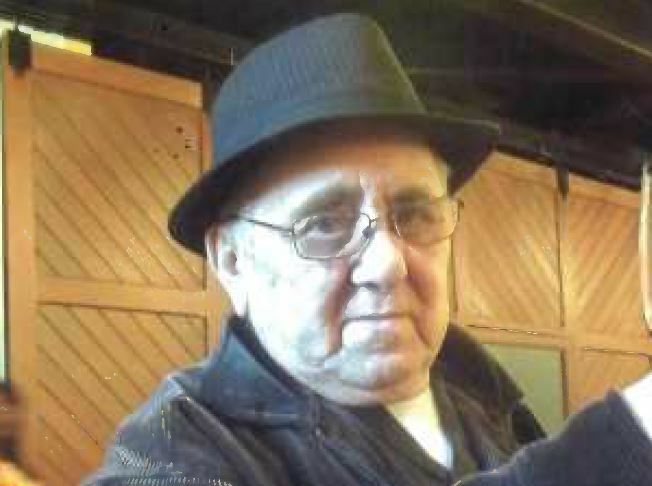 PASADENA >> Police have asked the public’s help in finding a 78-year-old man suffering from Alzheimer’s disease who went missing in Pasadena Friday. Jorge Correa was last seen about 6:15 p.m. Friday in the 900 block of N. El Molino Avenue, Pasadena police officials said in a written statement. He was driving a blue, 2006 Honda Pilot with a California license plate of 5VVP758. Correa is Latino, 5 feet 3 inches tall and 170 pounds. He is balding with gray hair on the sides and clean-shaven. He was last seen wearing a short-sleeve, button-down “guayabera”-style shirt, khaki pants, a black baseball cap with a Virgin Mary insignia on it and numerous rings and gold chains. He suffers from “moderate” Alzheimer’s disease, police said. Anyone with information is asked to contact Pasadena police at 626-744-4241. PHOTO of Jorge Correa courtesy of the Pasadena Police Department. 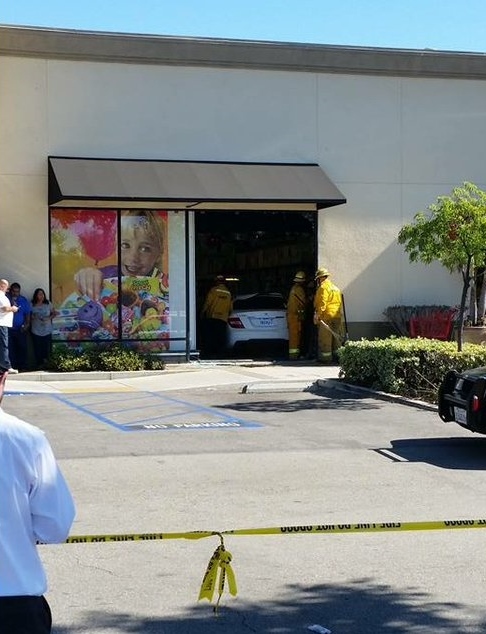 SAN DIMAS >> Five people were hurt, including four children, after a car plowed into a Party City store in San Dimas crowded with last-minute shoppers on Halloween, officials said. The 12:07 p.m. crash at Party City, 852 W. Arrow Highway, left a car completely inside the store, Los Angeles County Fire Department Dispatch Supervisor Art Marrujo said. Five people inside the store suffered injuries when the Mercedes-Benz sedan smashed through the front plate-glass window, fire Capt. Tim Wiehe said. Paramedics took a teenage girl to a hospital with apparent moderate injuries, fire Capt. Tim Wiehe said. A woman and baby boy were taken to a hospital by ambulance with injuries also described as moderate, he said. Two boys suffered minor injuries and did not need to be taken to the hospital, Wiehe said. Fortunately, the car penetrated the store on the side opposite of the store’s crowded Halloween section, Wiehe said. The crash mainly damaged the glass storefront and did not affect the building’s structural integrity, the captain said. Officials cordoned off the damaged section of the store so the business could reopen for the remainder of the business day. The 35-year-old woman driving the Mercedes-Benz was unhurt, sheriff’s and fire officials said. Deputies from the sheriff’s San Dimas Station are investigating the cause of the crash, Lt. Tonya Edwards said. No arrests or citations were made at the scene, she said. There were no overt signs of a crime, and the crash was being investigated as an accident. Harry “Sam” Bash was an explorer, constantly seeking a new thrill or personal discovery. It was that passion that led the longtime Whittier man to serve his country carrying out underwater demolitions with the U.S. Navy, to scale mountains and to fly airplanes. Unfortunately, it was the same passion that put him in the Angeles National Forest, prospecting for gold, when he was caught in a mudslide in September. He was killed in the incident. He was 67. Bash’s body was discovered by a hiker about 5 p.m. Sept. 19 along the East Fork of the San Gabriel River, between the Bridge to Nowhere and Heaton Flats, Ed Winter, assistant chief of operations at the Los Angeles County Department of Medical Examiner-Coroner said. He was not officially identified by coroner’s officials until this week. An autopsy determined he died from “multiple blunt force injuries,” and the death was ruled accidental, Winter said. Coroner’s records listed no hometown for Bash. 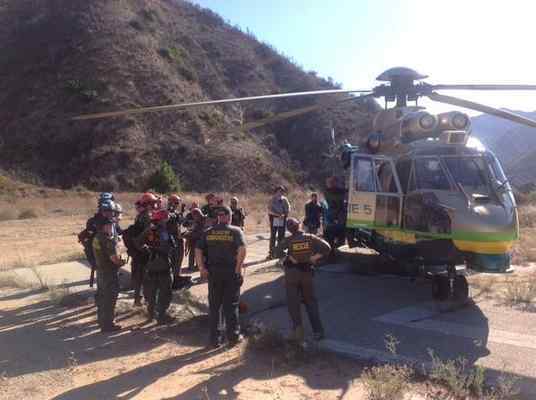 Friends described him as a retired longtime Whittier resident who grew up in Pico Rivera and U.S. Navy veteran who enjoyed exploring the outdoors. Property records indicate Bash owned a home in Whittier for more than 20 years, but friends said he had lived there more than three decades. Dan Klausen said he first met Bash when the two attended school together in the first grade. They’ve remained friends ever since. “He was truly my closest friend,” Klausen said. “He was just a fun guy. He had a great sense of humor. He would call me up and call me ‘plutonium breath,’” Klausen said. The friends took many trips together, scaling Half Dome in Yosemite, visiting Mt. Whitney and going on bike trips lasting days and hundreds of miles, Klausen said. And Klausen said Bash’s curiosity knew no bounds. Bash often went prospecting in the mountains, generally taking day trips, but sometimes camping overnight, friends said. Klausen said he speculated his friend must have touched on a good spot for gold, as he was believed to have been camped in the forest for about a week before becoming swept up in a debris flow. “Otherwise, he never would have been up there that long,” he said. And witnesses reported that Bash’s car had moved in the parking lot at the mountain entrance at least once during the his camping trip, indicating had returned to it and possible resupplied. Bash was found with his backpack, indicating he was trying to work his way out of the forest when he died, Klausen added. Friend Jenny Reisner said she believed Bash may have been caught off-guard. “He was hard of hearing, so likely didn’t hear it coming,” she said. Bob Garcia said he was a friend of Bash for more than 50 years. 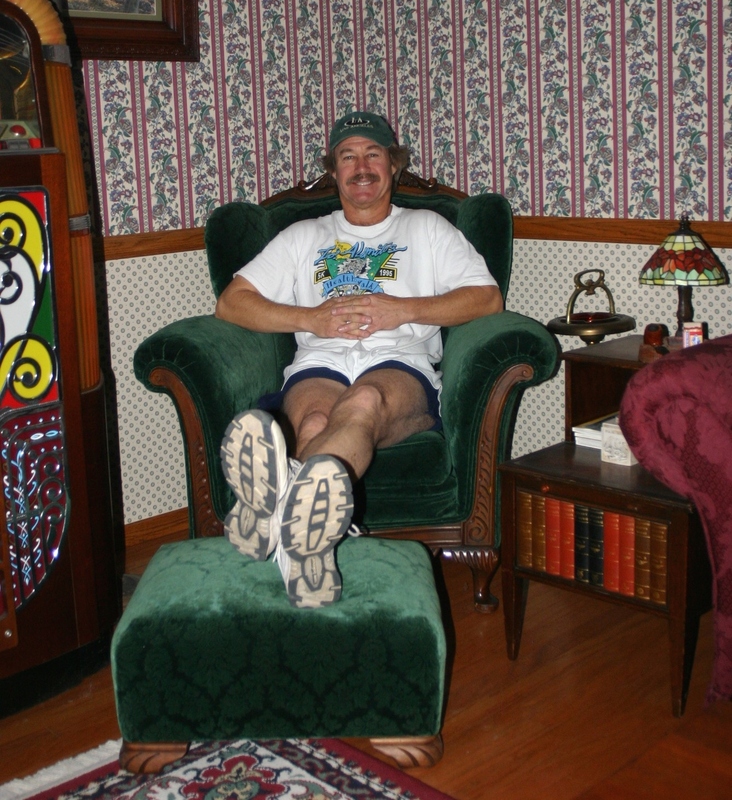 “Sam was a true outdoors man who loved and lived life to the fullest. He touched the lives of many people and he will be missed by all,” Garcia said. Garcia said his friend spent four years with the Navy as an underwater demolitions expert, followed by a 29-year career at a chemical company. Bash was a licensed pilot, a scuba diver an underwater welder, a mountain biker, a hiker, a rock climber, an explorer and a prospector, Garcia said. Bash’s eulogy,delivered at an Oct. 10 memorial in Whittier, described him as “the quintessential explorer,” an accomplished guitarist and a lover of geography, botany and astronomy who spoke Spanish fluently. Bash was never married and had no children, friends said. He’s survived by twin sister, Sally, and sister Barb, three nieces, three nephews, six great-nephews and four great-nieces. LOS ANGELES >> A jury Friday convicted a Rowland Heights doctor of three counts of murder for the deaths of three patients who overdosed on drugs she prescribed following a two-month trial. The case is the first time a medical doctor has been convicted of murder in the United States for overprescribing drugs, Los Angeles County District Attorney’s officials said. Hsiu-Ying “Lisa’ Tseng, a 45-year-old doctor of osteopathic medicine and Walnut resident, operated the Advanced Care AAA Medical clinic in Rowland Heights along with her husband. The Los Angeles County Superior Court jury also convicted her of 20 counts of unlawfully prescribing prescription drugs, but acquitted her on a single charge of prescribing drugs fraudulently, Los Angels County District Attorney’s Office spokeswoman Sarah Ardalani said. The verdict followed more than a week of jury deliberation. Investigators arrested Tseng in March of 2012. She has remained in custody in lieu of $3 million throughout the legal process. The second-degree murder charges stemmed from the deaths of Vu Nguyen, 29, of Lake Forest, on March 2, 2009; Steven Ogle, 25, of Palm Desert, on April 9, 2009; and Joseph Rovero III, 21, of San Ramon, on Dec. 18, 2009. Prosecutors, who described Tseng as a “Dr. Feelgood,” argued she prescribed the three young men powerful drugs such as oxycodone, hydrocodone, methadone and Xanax, without valid medical reasons. She has a sentencing hearing on Dec. 14, where she faces up to 45 years to life in state prison. “This is the most severe penalty we have ever gotten ona doctor who illegally overprescribed drugs to patients,” Lacey said. Tseng’s defense attorney, Tracy Green of Los Angeles-based Green & Associates, could not be reached for comment Friday afternoon. The ground-breaking case was prosecuted by deputy district attorneys John Niederman and Grace Rai of the D.A.’s Major Narcotics Division. The U.S. Drug Enforcement Administration began looking into Tseng and her practice in 2008 after pharmacies noted high numbers of Tseng’s patients showing up to fill prescriptions for painkillers, prosecutors said. Investigators made undercover visits to the office, and conducted a search of it, in 2010. Prior to the criminal case, Tseng had already settled civil lawsuits with the families of five other men who overdosed on drugs she proscribed. Testimony revealed at least 12 of Tseng’s patients in all have died of prescription drug overdoses. Tseng denied the charges, and her trial began in late August. Tseng received her medical license in 1997, according to Osteopathic Medical Board of California records. 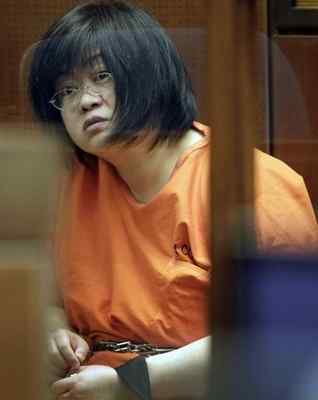 She opened her Rowland Heights clinic in 2005, officials said. “During the time-frame when nine of her patients died in less than three years, Tseng took in $5 million from her clinic and continued dispensing potent and addictive drugs unabated,” district attorney’s officials said in a written statement. Tseng often no medical records while prescribing the drugs, officials said. “In many instances, she faked medical records when authorities began investigating,” according to the district attorney’s office statement. Tseng surrendered her license in March of 2012 and is not permitted to practice medicine, records show. Her DEA registration was revoked in 2010 amid the ongoing investigation. A man was found stabbed in the neck along a South Whittier street Friday, but the deaf and mute victim could not immediately tell deputies what had taken place, authorities said. A passer-by reported finding the man suffering from a gash to his neck shortly after 1 p.m. at Meyer Road and Fidel Avenue, Los Angeles County sheriff’s Lt. Cynthia Chavez said. The wounded man was taken to a hospital with injuries not believed to be life-threatening. No further details regarding the circumstances of the stabbing were available, she said. The victim, a 34-year-old deaf and mute Whittier man, could not communicate with deputies at the scene. A sign-language interpreter was summoned to the hospital to help investigators interview the victim, but they were not immediately able to get a statement as he was quickly rushed into surgery. COVINA >> A man died early Friday in a stabbing in a residential neighborhood near Covina, authorities said. The stabbing took place about 1:15 a.m. on Bellbrook Street, near Lark Ellen Avenue, in an unincorporated county area just outside of Covina, Los Angeles County sheriff’s Lt. Elisabeth Sachs said. The victim died at the scene, she said. No suspects were in custody. Detectives from the Sheriff’s Homicide Bureau were summoned to the scene. WEST COVINA >> Police suspect a pair of robbers may be responsible for four robberies and attempted robbery in West Covina Wednesday and Thursday. All four crimes took place in the morning hours, and all four involved similar suspect descriptions and tactics, West Covina police spokesman Rudy Lopez said. The most recent crime took place about 8 a.m. Thursday at Shadow Oak Park, 2121 E. Shadow Oak Drive, Lopez said. A 19-year-old man was standing near his car in the parking lot when a gray, four-door car pulled up. The park robbery occurred about 40 minutes after two men tried, but failed, to rob a 51-year-old woman of her purse in the 1300 block of East Fairgrove Avenue, police said. The woman had just parked her car when a light-colored, four-door car pulled up beside her, Lopez said. The would-be robbers fled empty-handed. Two similar crimes were reported Wednesday. A 36-year-old man got into his car about 6:10 a.m. inside a carport in the 700 block of North Sunset Avenue, Lopez said. Two men approached him on foot. And a 71-year-old man was the victim of an attempted robbery just over an hour later in the 1600 block of Doublegrove Street. He was walking alone when a newer, light-colored mid-sized with two men inside sedan drove up, officials said. The driver pointed a handgun at the senior citizen and demanded his wallet. Suspect descriptions given by the victims varied to some extent, but they consistently described being accosted by two Latino men in their 20s, both of average height. One was of thin build, while the other was of average build. None of the victims were injured, police said. Anyone with information is asked to contact West Covina police at 626-939-8500. Tips may also be submitted to the West Covina Police Department’s anonymous tip hotline at 626-939-8688. HACIENDA HEIGHTS >> A gunman carjacked and kidnapped another man at gunpoint in the parking lot of a Hacienda Heights convenience store Thursday afternoon, authorities said. The crime occurred about 3:40 p.m. outside a 7-Eleven store at Gale and Stimson avenues, Los Angeles County sheriff’s Lt. David Infante said. The suspect entered the pickup truck and ordered the victim to drive, the lieutenant said. The gunman directed the victim to drive to the 800 block of North Hacienda Boulevard in La Puente, where he ordered the victim to get out. The carjacker then fled northbound in the victim’s truck. A detailed suspect description was not available. Officials withheld the truck’s license plate number as they continued their investigation late Thursday.